Last night, Tesla executives had their Q2 Earning's conference call with shareholders and investors and discussed more in detail what the company has achieved and is planning for the future. As usual, Elon Musk was answering most of the questions while revealing few tidbits of what the company has in store in the coming years. When asked about autonomous driving, Musk didn't hold back. He confirmed that full autonomy will be Tesla's priority as soon as Model 3 production hurdles are solved. He then criticized certain media outlets for inflating the news when it comes to Tesla vehicles involved in accidents. ...Tesla cannot sneeze without there being a national headline. So I think you don't have to worry too much about whether we'll report it because the media will and then inflate it in size by 1,000. Like last year there were 35,000 automotive deaths in the U.S. How many did you read about? First, Musk said there needs to be a much higher definition maps than what currently exists in the world in order to have full autonomous cars, something Tesla is currently making good progress on. 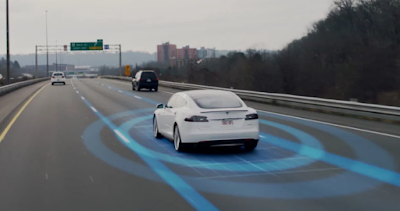 Second, when asked about ending collaboration with Israel-based technology firm Mobileye on advancing features related to the automaker's Autopilot, Musk hinted it will be replaced by an in-house hardware technology and there will be a significant announcement on that in the near future. Musk previously mentioned in his Master Plan: Part Deux that Tesla owners will be able to add their autonomous cars to a ride share fleet with a click of a button through the Tesla phone app and have them generate income while owners are not using their cars. That means self driving cars will be on the road more than previous generations ever been. This will have its own ramifications when it comes to charging and maintenance. However Musk thinks demand for autonomous cars will vastly outweigh the production capability. Currently there are about 2.5 billion vehicles in the world and about 100 million new vehicles produced every year, that's a 20-25 years of fleet turn over per cycle. In order for autonomous vehicles to saturate the market, there needs be a tremendous number of autonomous vehicles produced to break that cycle. When asked on how Tesla is planning to bring about full autonomy to its fleet, Musk confirmed that it will be coming sooner than people expect and it will surprise everyone. According to the CEO, full autonomy is more of a software limitation than a hardware one. 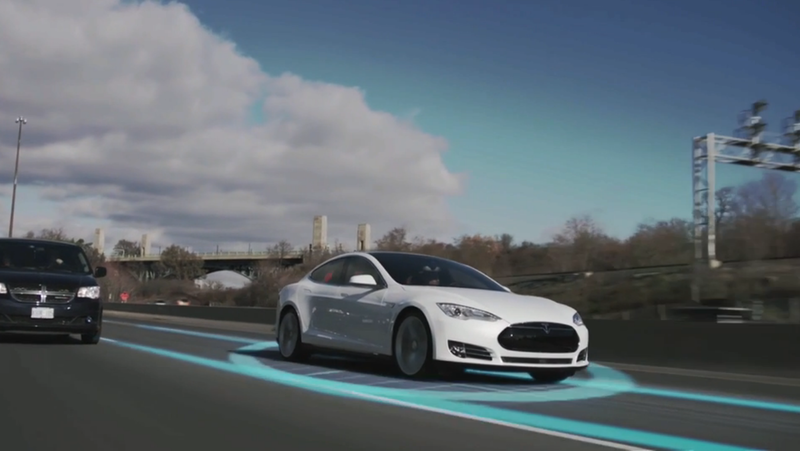 Tesla is currently focused on developing an advanced and narrow AI for its vehicles to operate on. I want to emphasize narrow AI, it's like not going to take over the world, but it needs to be really good at driving a car. So increasingly sophisticated neural maps that can operate in reasonably sized computers in the car. That's our focus. I'm very optimistic about this. It's exciting, it blows me away, the progress we're making. So I think if I'm this close to it and it's blowing me away, it's really going to blow other people away when they see it for the first time ...full autonomy is going to come a hell of a lot faster than anyone thinks it will. You can listen to the full recording of the conference call on Tesla's website. Some comments from CTO J.B. Straubel would also be of interest.